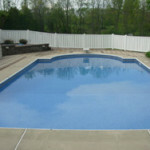 Vinyl liner swimming pools provide greater comfort and are easier to clean and maintain than most other pool surfaces. 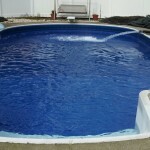 And vinyl pool liners contain built-in sanitizing agents that help inhibit algae and mildew growth, along with ultraviolet (UV) inhibitors that help prevent sun damage. 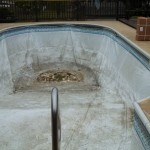 When properly cared for, your vinyl liner can last more than 20 years! 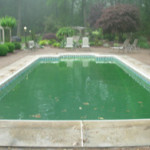 Most liners in pools installed in the northeast United States last between 10-15 years. 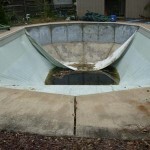 If it’s been that long for your pool, or if your pool surface has begun to wear and age, perhaps it’s time to consider replacing it? 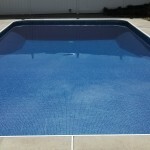 Today’s vinyl liners come with a 20-year pro-rated warranty, and the wide variety of beautiful, colorful 3D patterns are sure to meet any style preference. 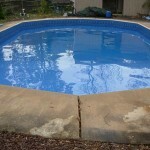 Replacing your liner is a one-day project! 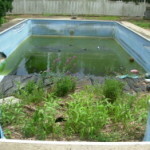 You’ll be swimming in your “new” pool that same evening! 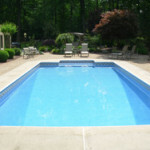 Aqua-Matic can replace your liner at any time throughout the pool season – April through November. 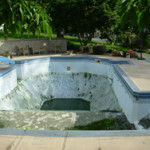 With more than 30 years experience replacing and custom-fitting liners, Aqua-Matic Pools has made hundreds of pools in and around Berks County look new again. 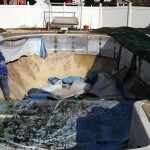 Our vinyl liner swimming pool technicians are experts at new liner installation! 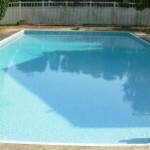 We pay careful attention to details to ensure a perfect, wrinkle-free fit and we treat your backyard with the care it deserves. 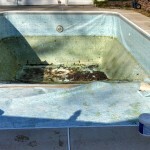 Take a look at these “Before” and “After” photos to see what a difference Aqua-Matic Pools can make to your backyard in just one day! 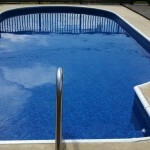 Click here (& scroll down) to view the wide variety of liner patterns or call us at (610) 582-7665 to request a liner brochure or vinyl liner sample book. 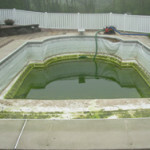 Call (610) 582-7665 today for a FREE, no obligation on-site estimate. Or simply complete the Quick Contact form to let us know what questions you might have.